Torn Earlobes | Donald Altman M.D. 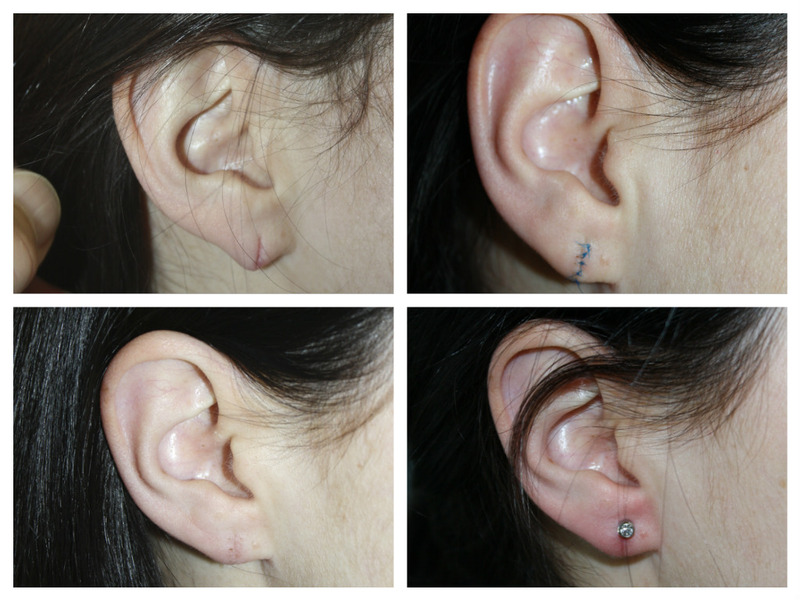 Ear lobe repairs are probably one of the most common procedures performed in the office. Typically, it is a patient either whose earring has stretched the piercing over time and eventually pulls through. Sometimes, getting caught on clothing or a phone cord is final activity before the tear is complete. Over recent years, young individuals who have gauge ear piercings, particularly those interested in enlisting in the military, have been calling on our office for treatment. Typically, the repair process is simple. It takes about 20 to 30 minutes and is performed under a local anesthetic. The front and back side of the tear are made fresh with a minor incision, and the ear lobe is repaired. Patients can shower the next day. Pain is minimal. Small sutures are removed in 7 to 9 days. Complications are exceedingly rare. In the case of most individuals who are interested in wearing earrings again, the ears are re-pierced in our office 4 to 6 weeks after the initial treatment. They are given temporary earrings that are left in place for 10 days. After this time we suggest that the patients place high quality gold posts to prevent allergies to less expensive decorative metals.